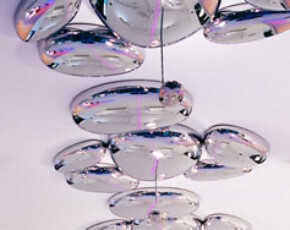 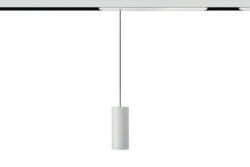 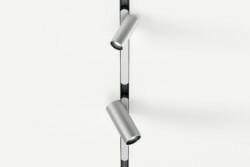 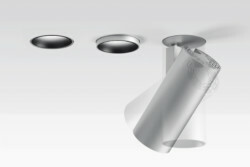 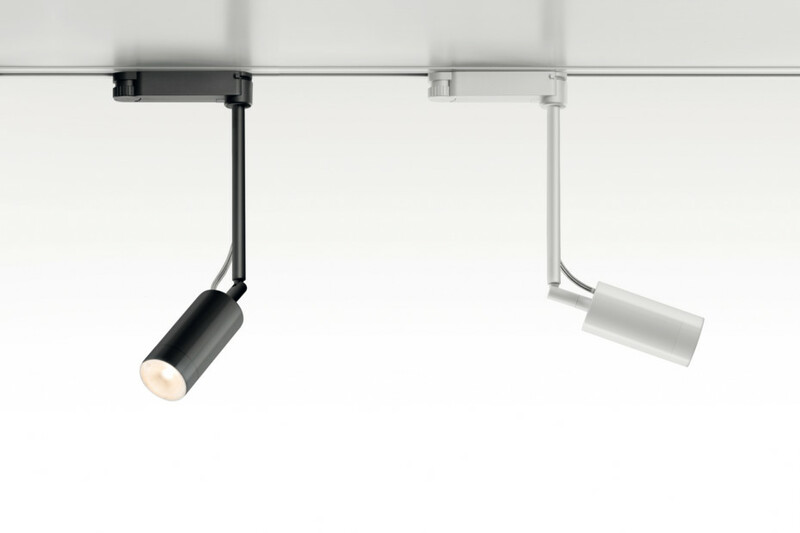 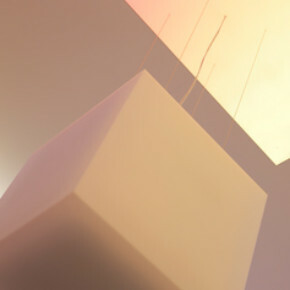 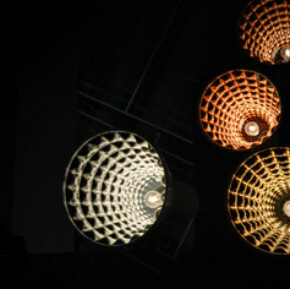 Vector offers excellent lighting performance and flexibility in minimized dimensions (only ø40 x 100 mm). 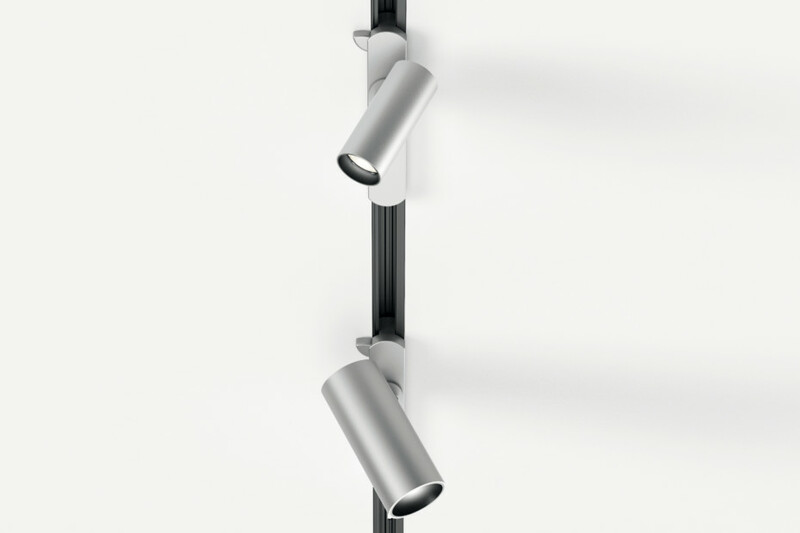 It is a spotlight with an essential look, which can be directed in space through a junction that allows virtually full rotation and 90° tilting. 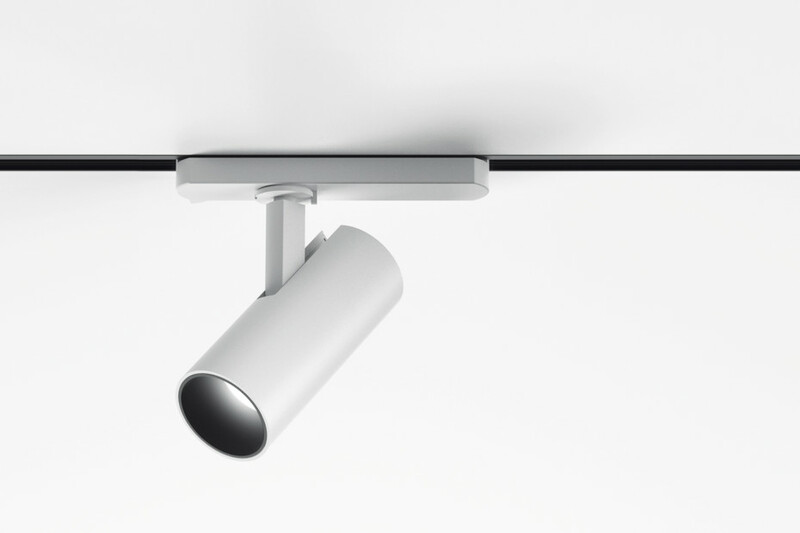 Available in three beam aperture sizes with high colour rendering (Ra90), it can be installed on a track or on the wall/ceiling. 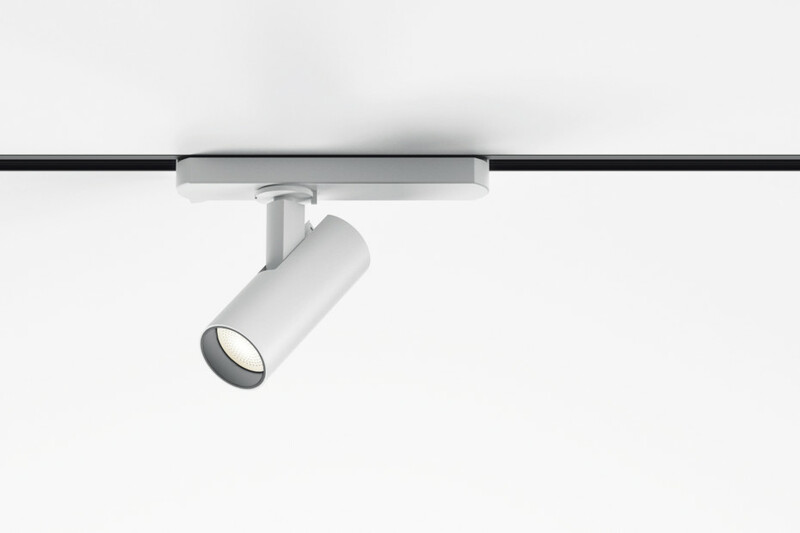 A plain cylinder conceals an optical, thermal, and productive design intelligence by which Vector becomes an innovative alternative to existing spotlights. It consists of two extruded units mechanically welded together to ensure perfect thermal contact. 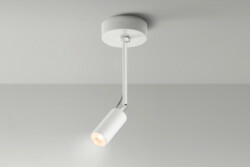 On the front, a small, virtually imperceptible shutter is fitted between the body and the lens, creating a funnel effect that allows to use an 10W LED even with such a small size. It is ideal for all retail applications, particularly whenever accent lighting is required without using prominent appliances.